How to choose the ideal suit? 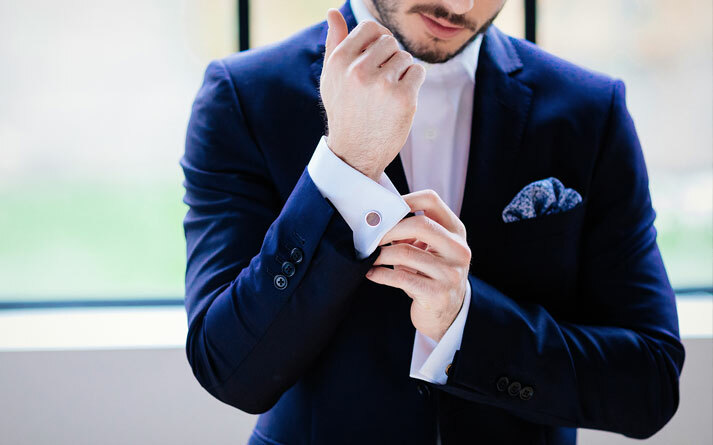 Choosing the suit is just as important as choosing the wedding dress, so avoid any mistakes. Take your figure into consideration when choosing the suit, because it must imperatively highlight you. 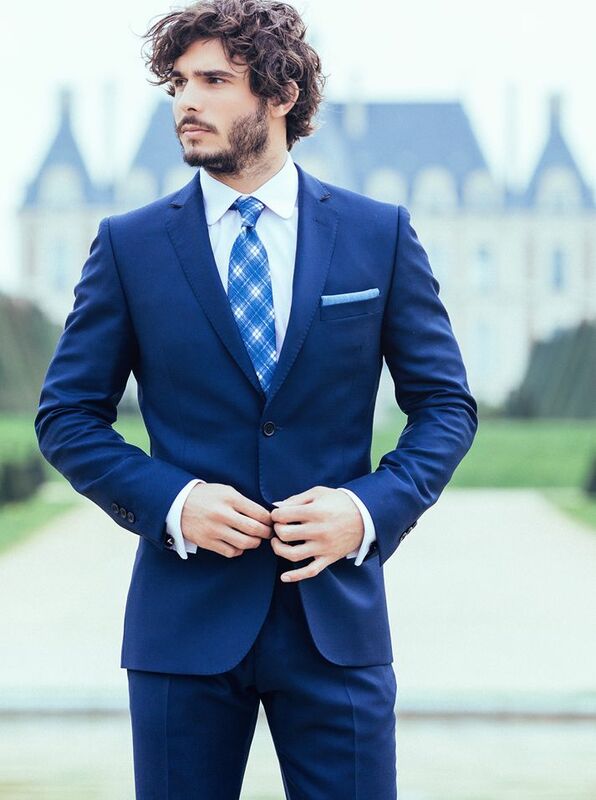 Also keep the style of your wedding in mind so that your suit is perfectly representing the idea behind it. 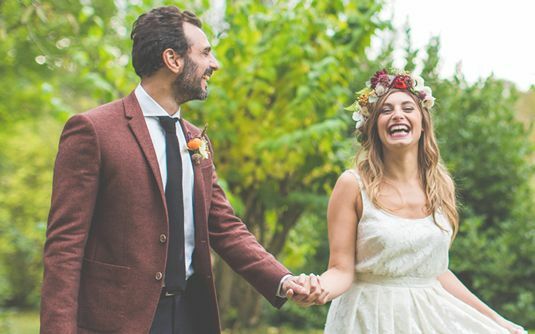 Finally, be handsome by adding your personal touch and you will radiate style and sobriety for a perfect wedding. The mohair blue, classic and bright suit with a fitted and modern cut is perfect for important occasions. The fabrics of which this costume is made are soft and very light which is why it is ideal for the summer months. The semi-traditional manufacturing process of this costume guarantees a better fall at the level of the chest and a perfect outfit. The grey Prince of Wales suit offers the ideal combination of elegance and modernity. Long associated with the English middle-class it is nowadays on center stage and gives your outfit a formal and refined touch. Its semi-traditional manufacturing as well as its light weaving of mid-season will allow you to feel at ease in your suit while being stylish and elegant. 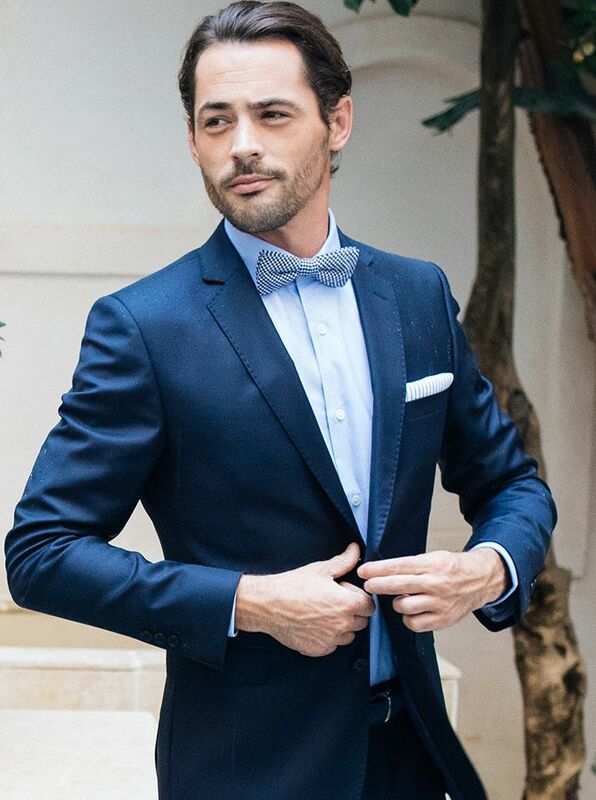 The navy blue suit, a timeless basic, will be your perfect ally for a sober and distinguished wedding. The blue shades of this costume will allow you to create a harmonious outfit. This light weave costume with its modern cut fits most body shapes. The navy blue suit with caviar patterns is ideal if you want to add a touch of originality to your outfit. The caviar pattern gives character to the suit while being classy and elegant. Original and textured, this suit has a sophisticated and dynamic fit for a certainly modern look.